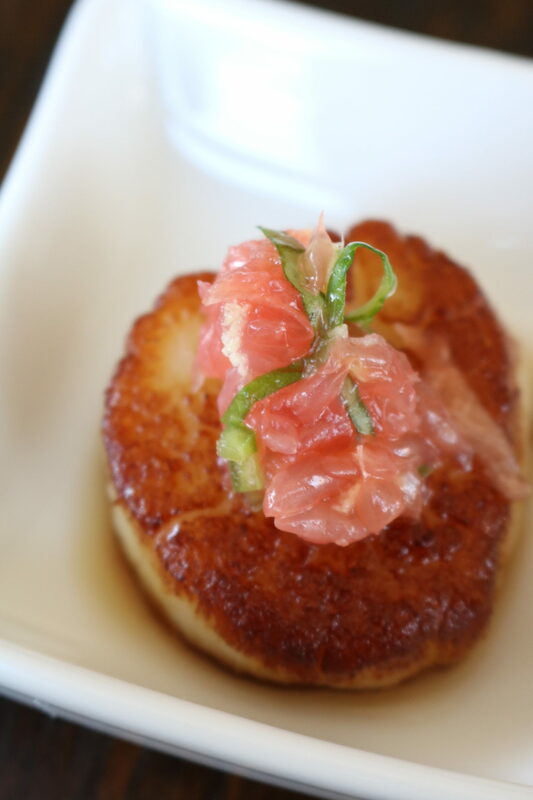 Flu season is hitting hard this year 😷🤒 so we’re packing our party recipes with immune boosting and anti-inflammatory ingredients 👍🏼like grapefruit and ginger to power us through till spring!Your guests will thank you 🙏🏼for their health and tantalized taste buds with these Seared Scallops with Grapefruit Ginger Salsa! Segment your grapefruit and dice into petite pieces. Add grapefruit, grated ginger, 1 tbsp olive oil, minced Serrano pepper, minced shallot, salt, and chopped basil to a small mixing bowl. Fold gently until well combined. Set aside until ready for serving. Remove attached abductor muscle from scallops and gently rinse. Thoroughly dry each scallop with a paper towel. Preheat a large cast iron skillet to medium high with 2 tbsp olive oil. Sear scallops until deep golden brown approximately 1 1/2 -2 minutes on each side depending on the size of the scallops. 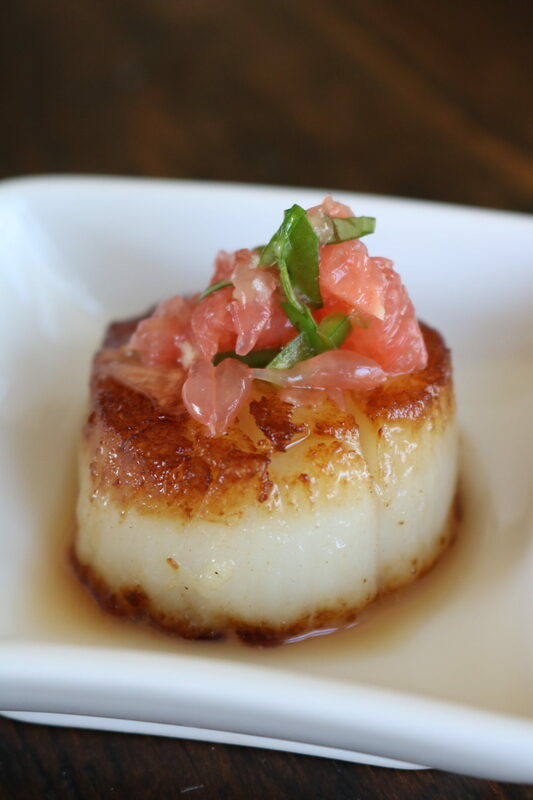 Top each scallop with Grapefruit Salsa and a sprinkling of sea salt. Enjoy!